Importance of 6th house: The 6th house represents debts (financial liabilities), strength of the enemy, litigations and the chronic illness. The 6th house is considered as a malefic house in the Vedic Astrology. Importance of 8th house: The 8th house represents the life longevity; and the troubles that we are likely to face during our lifetime. The 8th house is considered as highly malefic house in the Vedic Astrology. "Molotov Cocktail" is a generic name used for variety of bottle based impoverished incendiary devices that uses various inflammable fuels (A breakable bottle filled with Petrol (or) Solvents and a source for ignition like wicks soaked with Alcohol (or) Kerosene). When the bottle (with its wick is lit up with the fire) is thrown at an distance on the object, the bottle gets broken due to its impact. The Petrol vapour and droplets gets ignited instantly and creates a fireball on its impact and spreading of flames to consume the remaining fuels. *Mr. Vyacheslav Molotov was a foreign minister under the Josef Stalin in the erstwhile USSR. When the Russian forces were bombing Finland, he described its as a humanitarian mission; in fact, he had explained it as the "Airdrop of Food packages". The statement of Mr. Vyacheslav Molotov highly irritated the Finnish peoples. They described the dropping of bombs by the Soviets as "Bread Basket of Molotov". The Finns threw the petrol bombs at the Soviet tanks to set it on fire. The Petrol bombs were then described as the "Molotov Cocktail" to meet the "Molotov bread basket" to complete the Party (Bread & Cocktail). The combination of 6th & the 8th house lords would create a dangerous situation in the life of the natives. In general, the 6th & 8th house lords combination creates the following troubles. 1. The problems of facing litigations on various issues, especially on debt related matters. 2. The possibility of chronic illness turning into acute illness creating crisis like situation on health especially in the areas around the stomach and the waist (urinal/bowel). 3. Facing serious problems with the adversaries which could produce legal (or) non-legal troubles; and the possibility of the trouble turning into lethal. The presence of the 6th & 8th house lord combinations in various houses (for all the 12 Lagna (Rising sign)) would produce variety of results. In this post, we are going to study the impact of 6th & 8th house lord in a generic manner @ we are not going to study the impact of the 6th & 8th house lords combination in every houses in an individual manner. 6th & 8th house lords combinations* for Rishaba Lagna (Taurus Rising sign): The Rishaba Lagna (Taurus sign) natives would face litigations in their life mostly through the females (either directly or indirectly). The Rishaba Lagna (Taurus sign) natives would create troubles for themselves due to their incorrect (or) unethical (or) immoral decisions. The Rishaba Lagna (Taurus sign) natives would entangle themselves in the interlink between the dangerous triad "Income, Liabilities & Litigations" very easily. *Combinations of 6th house lord Venus & the 8th house lord Guru. 6th & 8th house lords combinations* for Kataka Lagna (Cancer Rising sign): The Kataka Lagna (Cancer sign) natives would face litigations mainly on their marital issues. The Kataka Lagna (Cancer sign) natives would face the prospect of meeting their life partner as one of their worst adversaries in the life. The Kataka Lagna (Cancer sign) natives would also face troubles (or) litigations through the people from the lower end of the society. The Kataka Lagna (Cancer sign) natives would face an uncomfortable ties with their father and the paternal relatives. The Kataka Lagna (Cancer sign) natives would also face serious form of troubles (or) litigations through their own employees, laborers, workers (or) their work subordinates. The Kataka Lagna (Cancer sign) native would face troubles (or) litigations, while they go abroad (for a shorter period) (or) while living/working/studying in a foreign country. The Kataka Lagna (Cancer sign) natives would face troubles (or) litigations, when they work (or) trade with the foreigners. *Combinations of 6th house lord Guru & the 8th house lord Shani. 6th & 8th house lords combinations* for Simha Lagna (Leo Rising sign): The Simha Lagna (Leo sign) natives would would face litigations mainly on their marital issues. The Simha Lagna (Leo sign) natives would have an uneasy (or) troubled ties with their children. The Simha Lagna (Leo sign) natives would face prospect of meeting both their life partner and their children either on a litigation; (or) as their main adversaries in their life. The Simha Lagna (Leo sign) natives would also face serious form of troubles (or) litigations through their own employees, laborers, workers (or) their work subordinates. The Simha Lagna (Leo sign) natives would face troubles (or) litigations through the people from the lower end of the society. *Combinations of 6th house lord Shani & the 8th house lord Guru. 6th & 8th house lords combinations* for Kanya Lagna (Virgo Rising sign): The Kanya Lagna (Virgo sign) natives would face litigations which could proves to be violent or fatal. The Kanya Lagna (Virgo sign) natives would would face litigations (or) troubles through their friends; and also through their brothers/sisters (includes cousins & in-laws). The Kanya Lagna (Virgo sign) natives would would face litigations through their own employees, laborers, workers (or) their work subordinates. The Kanya Lagna (Virgo sign) natives would face troubles (or) litigations through the people from the lower end of the society. The Kanya Lagna (Virgo sign) natives would face uncomfortable ties with their children too. The Kanya Lagna (Virgo sign) natives would physically harm others in a dangerous manner; or they would face similar fate in their hands of their adversaries. *Combinations of 6th house lord Shani & the 8th house lord Mars. 6th & 8th house lords combinations for Tula Lagna (Libra Rising sign): The Tula Lagna (Libra sign) natives would face litigations mostly through their unethical decisions (or) decisions that are taken with an criminal intent. The Tula Lagna (Libra sign) natives would face litigations (or) troubles with the peoples, who are superior to them; and they are likely to face litigations from the females too. The Tula Lagna (Libra sign) natives would face litigations mainly through their belief on the improbable, wild and controversial ideas (or) issues. The Tula Lagna (Libra sign) natives would face uneasy (or) troubled ties with their brothers/sisters; and also with their friends. *Combinations of 6th house lord Guru & the 8th house lord Venus. 6th & 8th house lords combinations for Vrischika Lagna (Scorpio Rising sign): The Vrishchika Lagna (Scorpio sign) natives would face troubles (or) litigations mainly through their unwise (or) greedy (or) unethical (or) immoral decisions. The Vrishchika Lagna (Scorpio sign) natives would face troubles (or) litigations either through (or) with their friends/brothers/sisters (including cousins & in-laws). The Vrishchika Lagna (Scorpio sign) natives would invite troubles through their anger, possessive attitudes, dominance and aggressive attitudes. The Vrishchika Lagna (Scorpio sign) natives would entangle themselves in the interlink between the triad "Income, Liabilities & Litigations" very easily. *Combinations of 6th house lord Mars & the 8th house lord Mercury. 6th & 8th house lords combinations* for Dhanusu Lagna (Sagittarius Rising sign): The Dhanusu Lagna (Sagittarius sign) natives would face troubles (or) litigations mainly through their sexual activities (or) sexual behaviour. The Dhanusu Lagna (Sagittarius sign) natives would face troubles (or) litigations mainly through the females. The Dhanusu Lagna (Sagittarius sign) natives would face severe depressions (or) remain agitated (or) remain highly restless. The Dhanusu Lagna (Sagittarius sign) natives are likely to face sexually oriented (or) transmitted diseases. The Dhanusu Lagna (Sagittarius sign) natives would also face health troubles from the water borne diseases. The Dhanusu Lagna (Sagittarius sign) natives would face troubles (or) health issues mainly through any type of liquids, such as liquid chemicals, acids, petrol and solvents; (or) any physical activities near (or) within any type of water bodies. The Dhanusu Lagna (Sagittarius sign) natives would entangle themselves in the interlink between the dangerous triad "Income, Liabilities & Litigations" very easily. *Combinations of 6th house lord Venus & the 8th house lord Moon. 6th & 8th house lords combinations* for Makara Lagna (Capricorn Rising sign): The Makara Lagna (Capricorn sign) natives would face troubles (or) litigations mainly through their financial dealings. The Makara Lagna (Capricorn sign) natives would face troubles (or) litigations on financial and tax related matters from the Government (or) Government bodies (or) Government aided institutions. The Makara Lagna (Capricorn sign) natives would face troubles (or) litigations, while they go abroad (for a shorter period) (or) while living/working/studying in a foreign country. The Makara Lagna (Capricorn sign) natives would face troubles (or) litigations, when they work (or) trade with the foreigners. The Makara Lagna (Capricorn sign) natives would maintain uneasy ties with their father; and the paternal relatives. *Combinations of 6th house lord Mercury & the 8th house lord Sun. 6th & 8th house lords combinations* for Kumbha Lagna (Aquarius Rising sign): The Kumbha Lagna (Aquarius sign) natives would face troubles (or) litigations mainly through their financial issues. The Kumbha Lagna (Aquarius sign) natives would either face an uneasy ties with their mother (or) remain highly uncomfortable with their mother & children. The Kumbha Lagna (Aquarius sign) natives would remain severely depressed (or) remain highly agitated (or) highly restless in nature. The Kumbha Lagna (Aquarius sign) natives would face health troubles from the water borne diseases. The Kumbha Lagna (Aquarius sign) natives would face troubles (or) health issues mainly through liquids, such as oil, Petrol, acids, chemicals and solvents; (or) any physical activities near (or) within any type of water bodies. *Combinations of 6th house lord Moon & the 8th house lord Mercury. 6th & 8th house lords combinations* for Meena Lagna (Pisces Rising sign): The Meena Lagna (Pisces sign) natives would face troubles (or) litigations mainly through their sexual activities and sexual behaviour. The Meena Lagna (Pisces sign) natives would face troubles (or) litigations mainly through the females in their life. The Meena Lagna (Pisces sign) natives would face troubles (or) litigations mainly on financial and tax related matters from the Government (or) Government bodies (or) Government aided institutions. The Meena Lagna (Pisces sign) natives would create troubles for themselves by implementing highly controversial (or) dangerous decisions, which are mostly criminal in nature. The Meena Lagna (Pisces sign) natives would believe in highly controversial (or) unworkable (or) dangerous ideas, which would even pull them towards facing the dangerous level of litigations from the Government. *Combinations of 6th house lord Sun & the 8th house lord Venus. What you mean by "Combinations of the 6th house lord & the 8th house lord"? Level 1: The placement of both the 6th & the 8th house lords in the same house, which is not malefic in nature. Level 2: The placement of both the 6th & the 8th house lords in the Pathaga Sthana (House of Collateral Damages) & Maraka Sthana (House of Death). Level 3: The placement of both the 6th & the 8th house lords in the 3rd & 12th houses. Level 4: The placement of both the 6th & the 8th house lords in the 6th (or) in the 8th house. Level 5. The "Parivartana Yoga" (interchange of houses) between the 6th & the 8th house lords. Level 6: If the 8th house lord traverses in the Nakshatra that belongs to 6th house lord; and the 6th house lord traversing in the Nakshatra that belongs to the 8th house lord. Level 7: The placement of both the 6th & the 8th house lords in the same Star. Level 8: The placement of both the 6th & the 8th house lords in the same Star path. The placement of 8th house lord and the 6th house lord in the diametrically opposite houses. The aspection of both the 6th & 8th house lords by each other, by getting placed in any houses. Level 9: The placement of both the 6th & the 8th house lords lies within +/- 03.20.00 degrees from each other. Level 10: If the 6th house lord gets good strength; and the 8th house lord getting poor strength in the Ashtakavarga. Level 11: If both the 6th & the 8th house lord traverses in the 22nd Nakshatra from the Janma Nakshatra of the native. Color Chart indicate the volatile nature (or) effects of the 6th & the 8th house lord combinations. Everybody in this world will have both the inflow and outflow of money during their lifetime. The Outflow on money or wealth can happen due to expenditures, losses, damages or wastages. Let us see the difference between the expenditures/losses/wastages/damages. Expenditures: You would spend money for various purposes to meet your various needs. Losses: You would face huge outflow of money for known or unknown reasons, when your expectations go wrong. Damages: You would face sudden or unexpected situation that erodes your asset values in an alarming manner. Wastages: When your expenditures doesn't bring the desired results, then the outflow of money adds no materialistic value for you. In Vedic Astrology, the 12th house and the 12th house lord indicates the outflow of money in your life. Let us the find out the impact on your life through the expenses or losses or wastages or damages. 1. If the 12th house lord is associated with the Lagna or Lagna Lord, then the person's life and personality will face the impact (both positively and negatively) through their expenses or losses or wastages or damages. If the 12th house lord is stronger in the Ashtakavargha, then the person will have enough money to meet his/her expenditure needs. Thus it will bring positive impact on his personality. 2. If the 12th house lord is associated with the 2nd house or 2nd house Lord, then the person's family relationship and the financial position will face the impact through their expenditures or losses or wastages or damages. If the 12th house lord is stronger in the Ashtakavargha, then the person will have enough money to meet his/her expenditure needs. 3. If the 12th house lord is associated with the 3rd house or 3rd house Lord, then their expenses or losses or wastages or damages will bring impact on their status and the reputation (both in positive and negative manner); also it will create impact on the ties with friends/brothers/sisters. If the 12th house lord is stronger in the Ashtakavargha, then the person will have enough money to meet his/her expenditure needs otherwise the person will face difficulty in meeting the expenditure needs. 4. If the 12th house lord is associated with the 4th house or 4th house Lord, then their expenses or losses or wastages or damages will create impact (both in positive and negative manner) on their assets and their lifestyle; also it will create impact on their physical health; also it will create impact on the ties with their mother. If the 12th house lord is stronger in the Ashtakavargha, then the person will have enough money to meet his/her expenditure needs otherwise the person will face difficulty in meeting the expenditure needs. 5. If the 12th house lord is associated with the 5th house or 5th house Lord, then their expenses or losses or wastages or damages will create impact (both in positive and negative manner) on their educational needs or enriching their knowledge or upgrading their skills; and also it will create impact on the ties with their children. If the 12th house lord is stronger in the Ashtakavargha, then the person will have enough money to meet his/her expenditure needs otherwise the person will face difficulty in meeting the expenditure needs. 6. If the 12th house lord is associated with the 6th house or 6th house Lord, then their expenses or losses or wastages or damages will create impact (both in positive and negative manner) on their litigations and liabilities; also it will create impact on their health troubles; also it will create impact on their adversaries. If the 12th house lord is stronger in the Ashtakavargha, then the person will have enough money to meet his/her expenditure needs otherwise the person will face difficulty in meeting the expenditure needs. 7. 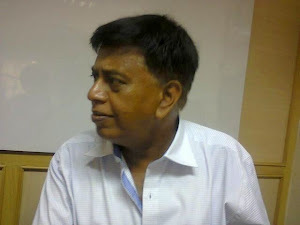 If the 12th house lord is associated with the 7th house or 7th house Lord, then their expenses or losses or wastages or damages will create impact (both in positive and negative manner) on their marriage life; also it will create impact on the ties with their life partner and also with their business colleagues. If the 12th house lord is stronger in the Ashtakavargha, then the person will have enough money to meet his/her expenditure needs otherwise the person will face difficulty in meeting the expenditure needs. 8. If the 12th house lord is associated with the 8th house or 8th house Lord, then their expenses or losses or wastages or damages will create negative impact on important issues in their life. If the 12th house lord is stronger in the Ashtakavargha, then the person will have enough money to meet his/her expenditure needs otherwise the person will face difficulty in meeting the expenditure needs. 9. If the 12th house lord is associated with the 9th house or 9th house Lord, then their expenses or losses or wastages or damages will create impact (both in positive and negative manner) on their spiritual life and also on their creativity or specified skills; also it will create impact on the ties with their father and the paternal relatives. If the 12th house lord is stronger in the Ashtakavargha, then the person will have enough money to meet his/her expenditure needs otherwise the person will face difficulty in meeting the expenditure needs. 10. If the 12th house lord is associated with the 10th house or 10th house Lord, then their expenses or losses or wastages or damages will create impact (both in positive and negative manner) on their career. If the 12th house lord is stronger in the Ashtakavargha, then the person will have enough money to meet his/her expenditure needs otherwise the person will face difficulty in meeting the expenditure needs. 11. If the 12th house lord is associated with the 11th house or 11th house Lord, then their expenses or losses or wastages or damages will create impact (both in positive and negative manner) on their earnings or income level; also it will create impact on the ties with their elder brothers/sisters. If the 12th house lord is stronger in the Ashtakavargha, then the person will have enough money to meet his/her expenditure needs otherwise the person will face difficulty in meeting the expenditure needs. 12. If the 12th house lord is associated with the 12th house or 7th house Lord, then their expenses or losses or wastages or damages will create impact (both in positive and negative manner) on their basic life necessities. If the 12th house lord is stronger in the Ashtakavargha, then the person will have enough money to meet his/her expenditure needs otherwise the person will face difficulty in meeting the expenditure needs. In the next post, let us study the planetary position that indicates expenses, losses, damages and wastages. 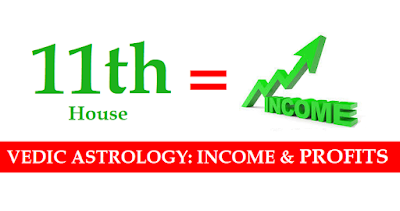 Get Monthly Financial Predictions for all 12 Zodiac signs. As per the Vedic Astrology, the 12th house is considered as the malefic house. But the 12th house and the 12th house lord has many important role to play in our life. The 12th house indicates the following issues in detail. Why is 12th house is important? The 12th house indicates the expenses, losses and wastages in our life. Hence the Readers can't wish away the importance of the 12th house. Any increased/sudden expenses or wastages or losses could totally upset the native's financial life. Moreover, you need to spend, so that you can buy something both in materialistic form or through services @ nobody can avoid expenses altogether in the life. Even a miser will be spending some money to meet his/her basic life necessities. Question: If a person has strong 2nd house (House of Finances) and weak 12th house (House of Expenses), then the person will remain rich because of the strong 2nd house lord? If the 12th house lord remains stronger, then it increases the expenses (outflow) of money. Hence the person's financial position will shrink due to the excessive expenditures. Then, why should we have a strong 12th house? Answer: For example, a Girl is wedded to a Boy, who is employed and earning good amount as salary. The Girl is not employed and remain as a house wife for various reasons. The wife is given a limited amount by the husband to meet the day-to-day house expenses. That is, the Girl will not have the money to buy or spend anything she needs or want; but she needs to ask her husband everytime for her financial needs. That is, she is rich, but do not posses the money to spend on her own @ the weak 12th house lord will create deficient financial situation in the life, even to meet the basic life necessities. What happens with the weak 12th house lord? In short, a weak 12th house lord makes the native to rely or depend on others to meet their expenditure needs. If the 12th house lord is placed in malefic houses or gets debilitated or gets combusted or remains retrograde or any of these combinations; and also gets poor strength in the Ashtakavargha , then the person can't have economical freedom. If the 12th house lord from the Moon sign and Sun sign is also placed in malefic houses or gets debilitated or gets combusted or remains retrograde or any of these combinations; and also gets poor strength in the Ashtakavargha, then the person needs to completely rely on others to meet their basic needs. 1. The person will run out of money, which might make him/her to ask for financial support or assistance through contributions or borrowings or debts or suppliant. 2. A person will face sudden cash crunch due to loss or theft or damages to their assets. 3. A person will face sudden cash crunch, when he/she faces litigations and his/her assets are frozen. too high to meet with his/her available financial strength. 5. The weak 12th house lord from Lagna/Moon sign/Sun sign indicates the possibility of making the native to beg or plead for financial help. 1) How do we spend? 2) How much we spend? 3) Where do we spend? 4) When do we spend? 5) What for we spend? How do we spend? How much we spend? Let us see the spending patterns of every individual. Please note that nobody in this world can't control or reduce the expenditure to a zero level @ everybody from a beggar to a millionaire will be spending money on daily basis. 1. If the 12th house lord is placed in the 12th house or placed in its own house or gets exalted, then the person will not spend more @ the person will remain very judicious in spending. 2. If the 12th house lord is placed in the 12th house or placed in its own house or gets exalted; also the 12th house lord is stronger in Ashtakavargha, then the person will be spending more money despite his tight control over the expenditure @ the expenses would be thrust upon them. 3. If the 12th house lord is placed in the 12th house or placed in its own house or gets exalted; also the 12th house gets weaker strength in the Ashtakavargha, then the person will spend very less money and would have water tight control over his/her expenditure needs. 4. If the 12th house lord is placed in a friendly house, then the person will have reasonable control over his expenditures. 5. If the 12th house lord is placed in a friendly house and gets good strength in the Ashtakavargha, then the person will maintain excellent balance between his expenditure needs and his/her wish to control the expenditures @ he/she will spend money for the necessities without placing any limitations; but will not allow the expenses for unwanted items or issues. 6. If the 12th house lord is placed in a friendly house and gets weaker strength in the Ashtakavargha, then the person faces deficient money to meet the expenditure needs, despite maintaining tight control over the expenditure needs. 7. If the 12th house lord is placed in the enemy house or gets debiliated or gets combusted or gets retrogarde in movement, then the person will remain as a spendthirft. 8. If the 12th house lord is placed in the enemy house or gets debiliated or gets combusted or gets retrogarde in movement; and the 12th house lord gets good strength in the Ashtakavargha, then the person will remain completely irresponsible and spend more money in an extravagant manner. 9. If the 12th house lord is placed in the enemy house or gets debiliated or gets combusted or gets retrogarde in movement; and the 12th house lord gets weaker strength in the Ashtakavargha, then the person will remain as a spendthirft and faces cash deficiency even to meet the basic expenditure needs.